Unbeknownst to most Americans, uranium is a strategic asset because uranium is one of the most important elements in the construction of nuclear weapons and in the production of nuclear energy. 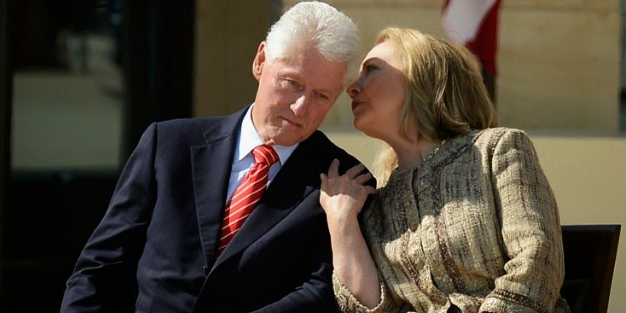 What most Americans also don’t know is that Hillary and Bill Clinton helped arrange the transfer of one-fifth of all U.S. strategic uranium reserves to Russia, as noted in a newly-released documentary, “Clinton Cash,” based on a book of the same name by Peter Schweizer that documents all donations made to the Clinton Foundation by foreign entities. The deal has its roots both in Hillary Clinton’s State Department and her husband’s foundation, which is now the family foundation and which will more than likely be enhanced if Hillary wins the White House in November. As reported by The New York Times, in 2013 an article in the Kremlin-backed Russian newspaper Pravda provided details about how Russian atomic energy firm Rosatom was able to gain control of a Canadian company that had uranium mining interests that stretched from Central Asia throughout the American West. When all was said and done, the acquisition of the Canadian firm made Rosatom one of the world’s largest uranium producers and brought Russian President Vladimir Putin much closer to his overall goal of controlling the lions’s share of the world’s uranium supply. As the Times noted, at the heart of the deal were a number of men who were the leaders of the Canadian mining industry and who also have been large donors to charitable efforts by Bill Clinton and his family. “Members of that group built, financed and eventually sold off to the Russians a company that would later become known as Uranium One,” the Times reported. — There were others with ties to Uranium One that made donations as well. Almost immediately after the Russians announced that they would attempt to gain a majority stake in Uranium One, Bill Clinton magically received a check for a half-a-million dollars for a speech he gave in Moscow from a Russian investment bank with ties to the Kremlin and which was promoting Uranium One stock. The U.S. government and Rosatom also made commitments that were supposed to ease concerns about the deal. But records show those pledges were broken repeatedly. While the Times boldly claimed that there was no evidence of “pay for play” or quid pro quo, two things are clear: The Russians now own 20 percent of U.S. strategic uranium reserves (a key element needed for nuclear power and nuclear weapons); and both Bill and Hillary Clinton personally arranged, and were enriched by, the deal. You can watch the entire documentary online for free here.